Only 5watt and 12volts makes these super low energy lights ideal for use with solar. Great for use in stables, sheds, garages and outhouses etc building a system with such low energy lights means you can keep the overall costs down by using smaller and less expensive solar panels. 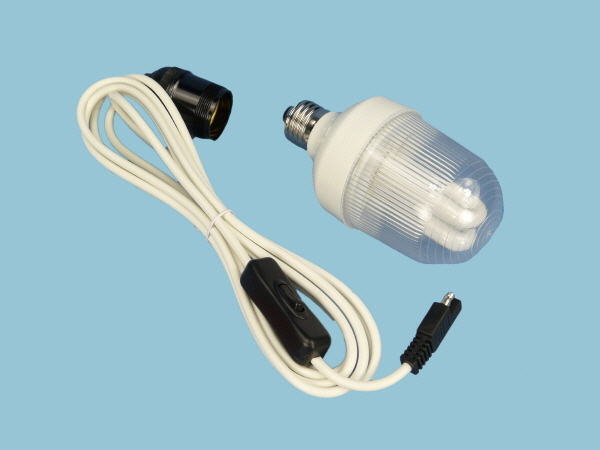 Each light comes with approx 3m of lead fitted with an On/Off switch and an S-S connector this light is designed to be plugged straight into the Sunshine Charge Regulator 12V - 7AMP for quick and easy installation without the need for any complicated wiring.